Miami In Focus Photo Gallery Featuring Runners in Central Park. Running, skating and biking are the main sporting attractions in Central Park. 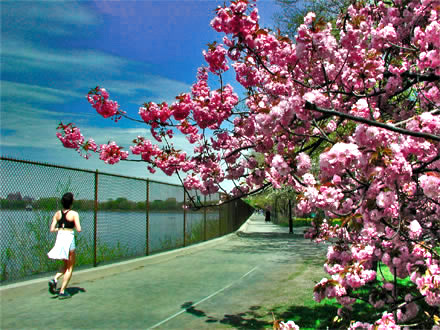 Running is by far the most popular sporting activity in Central Park. The Central Park runner's map is the only map of its kind offering detailed insight and information to enhance the running experience through insightful information and visual distinctions that are easy to use. Bookmark it for reference.